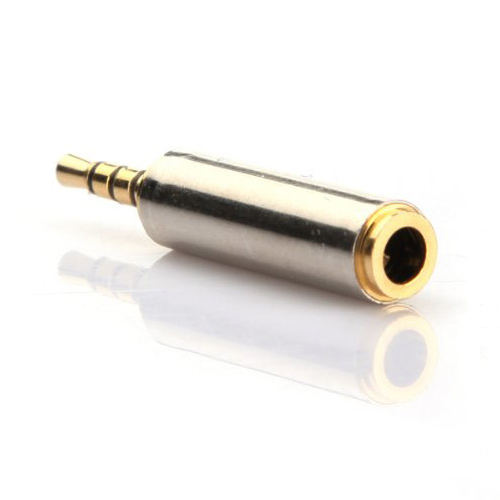 It is a 2.5 mm plate Gold to 3.5 mm stereo adapter, which is plate gold to ensure the best quality. Many phones and other devices digital of today come with a 2.5 mm headset jack, which will not allow a 3.5 headphone jack to use. This allows you to use your 3.5 mm headphone favorite on any 2.5 mm device you want.